Take a look at this extra clean classic. This is a 2 owner vehicle with super low miles. 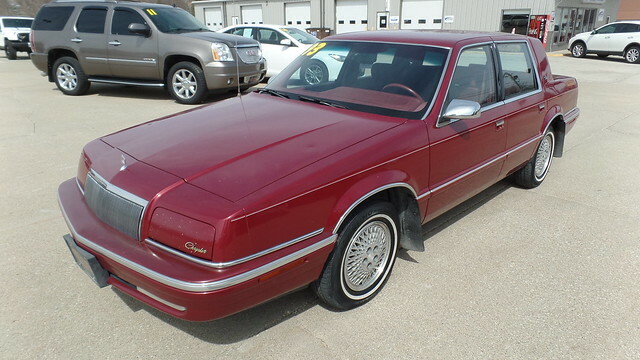 This New Yorker comes with a v6 engine, Automatic Transmission, Power Windows & Locks. AC Blows Cold, and this vehicle runs very well. This car does have slight hail damage. Come in for a test drive today.